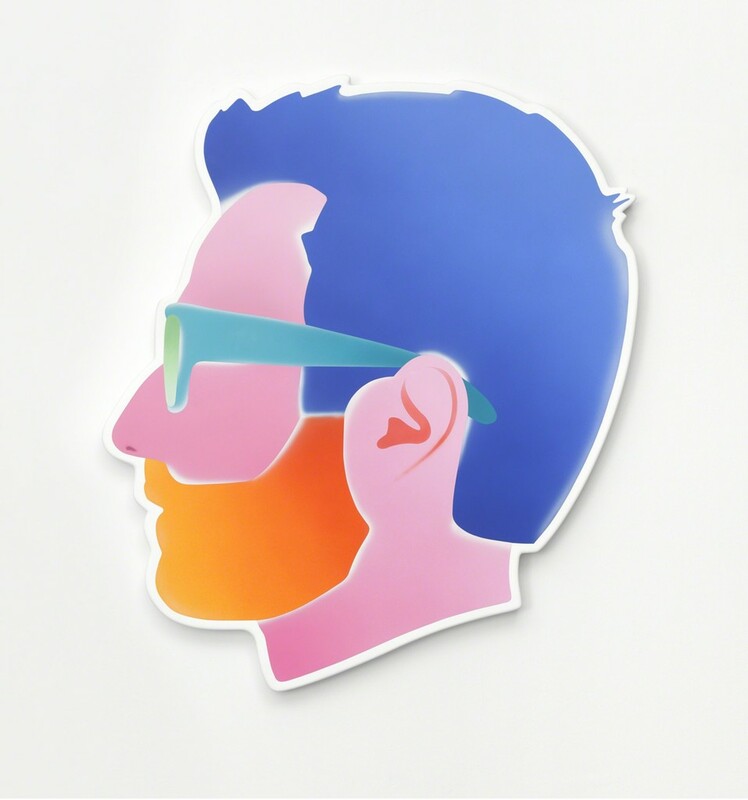 Alex Israel, a Los Angeles native, has a new interpretation of his iconic profile in Self Portrait exhibited at Mixographia in DTLA. Six variations of color combinations remind us of California sunsets and a 1980’s beachy vibe. Editions of 20 are printed on a raised relief similar to his one of a kind fiberglass silhouette paintings. Recently, Alex and his friend China Chow produced their first feature-length film, SPF18, a modern day coming of age movie set in Malibu. The movie was shown in high school auditoriums across the country and afterwards, student were encouraged to ask questions and discuss their opinions.